Let’s go ahead and embody all of the power pictured above, right now. 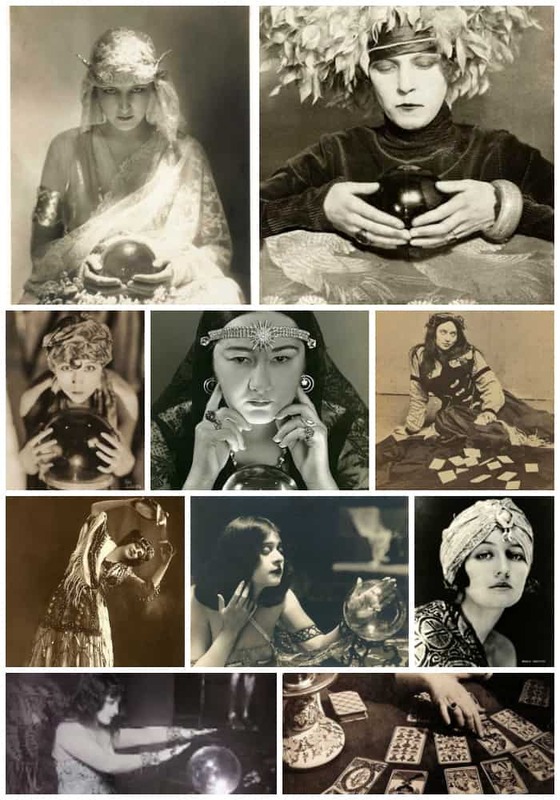 All of these ladies and their crystal balls are my idea of a perfect Halloween season – mysterious, beautiful, and just a little bit menacing. 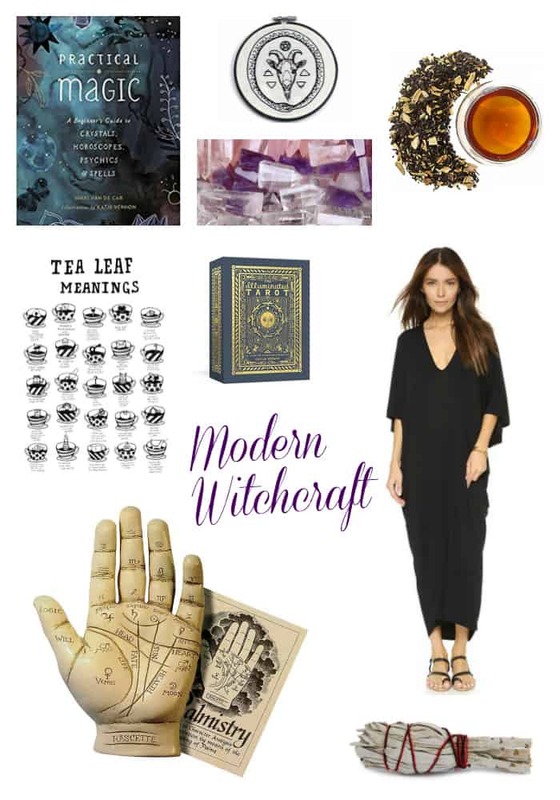 We had the pleasure of receiving a copy of Practical Magic: A Beginner’s Guide to Crystals, Horoscopes, Psychics, and Spells, which sparked us to channel our inner spirits and delve into a witchy state of mind. Here’s what’s inspiring us for the season. We just want this Horned God embroidery hoop hung over our crystal ball, this art is from Kjersti Faret (find much more cat-inspired black magic at that site). No spiritual journey would be complete without a set of healing crystal wands. We need some loose leaf assam tea, so we can read our tea tea leaves with help from this illustration by Jade Walsh. My current favorite dress has been described as “witchy” by my husband. I’m not taking it off. It’s the Riller and Fount Caftan Maxi, I got it at Shopbop. The short version is available on Amazon. I wore it while I cleansed my house with sage smudge sticks. Pick some up on amazon Amazon or learn how to DIY your own smudge sticks at YouGrowGirl. A Palmistry Hand with instructional booklet is the perfect thing to study to surprise your friends with your fortune-telling abilities. Though it’s always more interactive and fun to read their tarot cards. Go with the traditional Rider Tarot Deck , or this more beautifully packaged version: The Illuminated Tarot: 53 Cards for Divination & Gameplay. Gather your gals and throw a girls’ night watching Practical Magic, Hocus Pocus, or The Witches of Eastwick. We see your future, and it looks fun.